If there’s only one passionate party in a relationship it’s unrequited love. Here’s how I learned it the hard way. After Rocket Science I took some time off and consulted for the very VC’s who lost lots of money on the company. The VC’s suggested I should spend a day at Onyx Software, an early pioneer in Sales Automation in Seattle. In my first meeting with Onyx I was a bit nonplussed when the management team started trickling into their boardroom. Their VP of Sales was about 6’ 3” and seemed to be almost as wide. Next two more of their execs walked in each looking about 6’ 5” and it seemed they had to turn sideways to get through the door. They all looked like they could have gotten jobs as bouncers at a nightclub. I remember thinking, there’s no way their CEO can be any taller – he’s probably 5’ 2”. Wrong. Brent Frei, the Onyx CEO walks in and he looked about 6’ 8’ and something told me he could tear telephone books in half. I jokingly said, “If the software business doesn’t work out you guys got a pretty good football team here.” Without missing a beat Brent said, “Nah, we already did that. 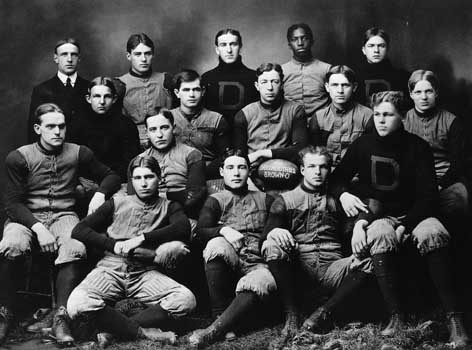 We were the Dartmouth football team front defensive three.” Oh. But that wasn’t the only surprise of the day. While I thought I was consulting, Onyx was actually trying to recruit me as their VP of Marketing. At the end of the day I came away thinking it was a smart and aggressive team, thought the world of Brent Frei as a CEO and knew Onyx was going to succeed – despite their Microsoft monoculture. With an unexpected job offer in-hand I spent the plane flight home concluding that our family had already planted roots too deep to move to Seattle. 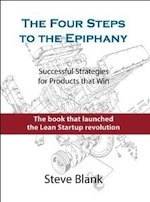 But in that one day I had learned a lot about sales automation that would shape my thinking when we founded Epiphany. So I called on my friends at Onyx and got on a plane to Seattle. They were growing quickly and doing all they could to keep up with their own sales but they were kind enough to hear me out. I outlined how our two products could be technically integrated together, how they could make much more money selling both and why it was a great deal for both companies. They had lots of objections but I turned on the sales charm and by the end of the meeting had “convinced them” to let us integrate both our systems to see what the result was. I made the deal painless by telling them that we would do the work for free because when they saw the result they’d love it and agree to resell our product. I left with enough code so our engineers could get started immediately. Bad idea. But I didn’t realize that at the time. Back at Epiphany I convinced my co-founders that integrating the two systems was worth the effort and they dove in. Onyx gave us an engineering contact and he helped our team make sense of their system. One of the Onyx product managers got engaged and became an enthusiastic earlyvanglist. The integration effort probably used up a calendar month of our engineering time and an few hours of theirs. But when it was done the integrated system was awesome. No one had anything like this. We shipped a complete server up to Onyx (this is long before the cloud) and they assured us they would start evaluating it. Instead of being welcomed by the whole Onyx exec staff, this time a clearly uncomfortable product manager met me. “Well how do like our integrated system?” I asked. “And by the way where is it? Do you have it your demo room showing it to potential customers?” I had a bad feeling when he wouldn’t make eye contact. Without saying a word he walked me over to a closet in the hallway. He opened the door and pointed to our server sitting forlornly in the corner, unplugged. I was speechless. “I’m really sorry” he barely whispered. “I tried to convince everyone.” Now a decade and a half later the sight of server literally sitting next to the brooms, mops and buckets is still seared into my brain. I had poured everything into making this work and my dreams had been relegated to the janitors closet. My heart was broken. I managed to sputter out, “Why aren’t you working on integrating our systems? I realized that mistake wasn’t my vision. Nor was it my passion for the idea. Or convincing Onyx that it was a great idea. And besides not being able to tell me straight out, Onyx did nothing wrong. My mistake was pretty simple – when I left their board room a month earlier I was the only one who had an active commitment and obligation to make the deal successful. It may seem like a simple tactical mistake, but it in fact it was fatal. They put none of their resources in the project – no real engineering commitment, no dollars, no orders, no joint customer calls. It had been a one-way relationship the day I had left their building. It would be 15 years before I would make this mistake again. 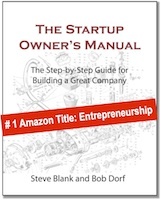 Steve, this is a great story and very useful to anyone trying to create a business partnership. I have a site where I collect stories of business mistakes and their lessons (http://mistakebank.com). Would you be willing to allow me to repost with credit and linkback? It would be a great addition to the site. “In the history of the world, no one has ever washed a rental car,” John Kenneth Galbraith. Same rules apply to free trials, pilot projects, etc. No skin in the game, no burning need to pay attention. You’ve triggered a fond memory. While I agree with the point you’re trying to make, Mr Galbraith was wrong. I washed a rental car after taking it a long ride through rain in canyon country. The rental was so muddy and the guilt so overwhelming before I brought it back I washed it. You couldn’t see the paint. I would never drive my own car as hard as that. LOL. But hey, I understand the point being made and agree. Great story ! These lessons are so important for every entrepreneur, business owner, product owner/manager and engineering leader, post this on your wall and read it every day. These lessons, as do the cust dev principles, apply to companies at every stage. Do people really not see value in free services – what about Fb, twitter, radio and all manner of other free services that people clearly see value in. I think it is how you measure value that makes the impact. In the above cases, customers are advertisers. And they do pay real $$. “Things that are free aren’t valued” is a common refrain. As James points out it can’t always be applied. Still, it’s generally true. In pricing and negotiation a number can set a strong psychological standard. In this case I think that “skin in the game” is an easy method for evaluating motivation. There is no question someone is motivated when writing checks. Were you really not upset with Onyx?? They pulled a bait-and-switch on you, right? Had they had the courage to tell you they wouldn’t support the relationship, your engineering team would have saved a month of work and loads of morale. You bet I was upset. I thought it was all their fault, believed they should have told me, felt they reneged on a deal, blah, blah, blah. But in the end I realized it was my 95% my problem. No one forced me or my company to do this. It was an offer I had made. I had failed to establish what I expected in return, and failed to check in to see if our expectations were still congruent. In the end it was only a month of engineering time, 1/2 which was wasted but the other half got us an important early customer and a year of awesome demos. 15 years later when it happened again I would invest a years worth of my time truly believing I had a partnership. The points that Steve makes are very spot on, and should be where the reader focuses. The whole of the story doesn’t change their importance, though it may impact the answer to the angst with Onyx angle. For the record, there was nothing unrequited about our love for Steve or what he was creating at Epiphany. Simply stated, we loved him and his product was awesome – it would be very useful to our customers. The fact of the early matter was that the server we received had a solid version of Epiphany running, it just didn’t have any API or Administration Tools yet. Therefore, anything we intended to do to integrate it had to be executed through Steve’s team. We should have been much more proactive about pressing for this help, but like all fast growing companies our resources went to the path of least resistance and highest near term return. We’re hoping you’ll come help us with marketing at our current company Steve. Consider that another job offer. You mean I could have gotten the order? Now you tell me! I’m honored to be to known as the guy who got two job offers from Brent Frei. Steve, so what happened 15 years later that you made the mistake again? Excellent story – good delivery and great lessons learned! Thanks for sharing. Now this should be a Case Study for our “best” B Schools who keep sending buffoons to Wall St and The Beltway ! How doe one contact you Steve ? Great lessons from the always insightful Steve Blank. Who amongst us haven’t poured more energy than was wise into a one-sided relationship? “mutual interest” vs “vested interest” is an excellent distinction. Great column. An insight with many applications! Very interesting article Steve. Thanks for sharing this painful experience. Your candor is much appreciated. Having worked on many partner deals during my stints at tech companies like Group 1, Sybase, Peoplesoft, SpringCM and Stellent, I have seen how an imbalance in commitment between partners almost always leads to failure. And this is true regardless of whether you are the big or little partner in the relationship. As Terri Snow mentions, “mutual interest” and “vested interest” are key components of making these types of deals work. I think the problem is that you ‘left the building’ so were ‘out of the loop’, tech is lovely but humans are human, you have to be ‘in the building’. Great story and lesson. I have had similar (but without the great story) experiences as a rep, a supplier and facilitator. Often in more subtle circumstances where the partner seems to have best intentions to commit and act and where getting to the end point takes months. It taught me to always look for some test in the relationship as early as possible where the partner has to do something “painful”, usually involving some cash or liability commitment. Sometimes it can be very difficult to know if you are seeing good intentions or real commitment. Thanks Steve. A very relatable story for anyone that has experience creating partnerships. If both sides aren’t fully engaged, the deal will eventually fall through (or never get off the ground). I recently wrote a blog post about how to create winning partnerships that can be found at http://siliconbeachmarketing.com/2012/5-tips-for-creating-marketing-partnerships-to-boost-business/. reminds me of the book “High Probability Selling”. I have a few examples of this same experience. As an entrepreneur you want every deal you can get. It is hard to walk away or stop selling especially when you’re biz is young and you are desperate for customers/partners. Steve, every time you post delight us with some great thoughts,insights and learnings! And after a year studying your work, meeting you in SF last october with Alex(on the week that NSF program started), failing on my hypotheses on my start-up last year,and now also teaching here in brazil at bmgenbrasil.com (the first course at university) i have realized that e.piphany, your last company is “CRM epiphany”, that you sold to SSA Global, now Infor. I was there when this happened 🙂 I worked from Baan to SSA to Infor since 1998. This made my day today! And to my future as well as inspiration for contininuous learning to succeed on my ventures. 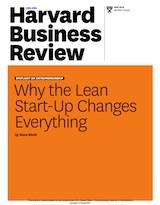 Bringing leanlaunchpad type of course to Brazil is one of my goals and hypotheses that will work next semester. Great post, Steve! My company went through a similar problem recently. We were very excited about the project until we finally realized our partner wasn’t as enthusiastic. Still, we were able to pivot away from it, and learned a valuable lesson about working closely with another company. Steve, where were you when I was learning all this the hard way? I’ve passed your article on to some of my younger colleagues so they can benefit. What your recruiter probably didn’t know is that Harvard didn’t care all that much about standard academic credentials itself. The math department made it clear they’d let me into grad school without an undergraduate degree. (When told that, my undergrad school lightened up on the bureaucracy, so I actually graduated — and they thanked me for bothering to do so.) My thesis adviser lacked a PhD, which I didn’t realize until after the fact. (I guess that helped explain why he didn’t appreciate my emotions during the thesis process.) And he wasn’t alone in that. Besides being a hopefully amusing sidelight, perhaps this illustrates that the costs of noncomformity are often less than people fear. So lying to appear more “normal” is often less beneficial than it seems. “When you don’t charge for something, people don’t value it.” That statement definitely resonates with me. The problem lies in creating something that people value so much, they are willing to part with their hard earned money for it. People invest their time, money, and ultimately, all their resources in what they value. I’m glad you recommended the importance of stepping outside yourself and testing your customers (in this case, partners) interest in and commitment to the issue, especially since as an innovative person it must be easy to become caught up in the passion of an idea. Partnerships are known to be tricky to work out, for many reasons. I think you had the right idea, partner with an established firm, but it did not work out with this one, time to knock on more days and find the ones bright enough to say ‘wow, great idea’ or ‘your amazing, i want to buy into your firm’.